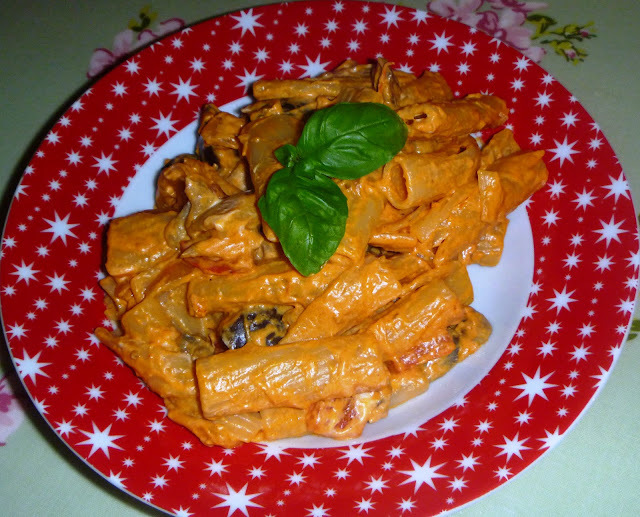 This month for the Simple and in Season link up run by Ren from Fabulicious Food, I have created an Aubergine & Red Pepper Creamy Rigatoni. Aubergines are in season from June until October and so are a delicious food which will be readily available for the next few months. Aubergines are very filling and contain hardly any calories or fat, so they make a great base for a vegetarian main dish. 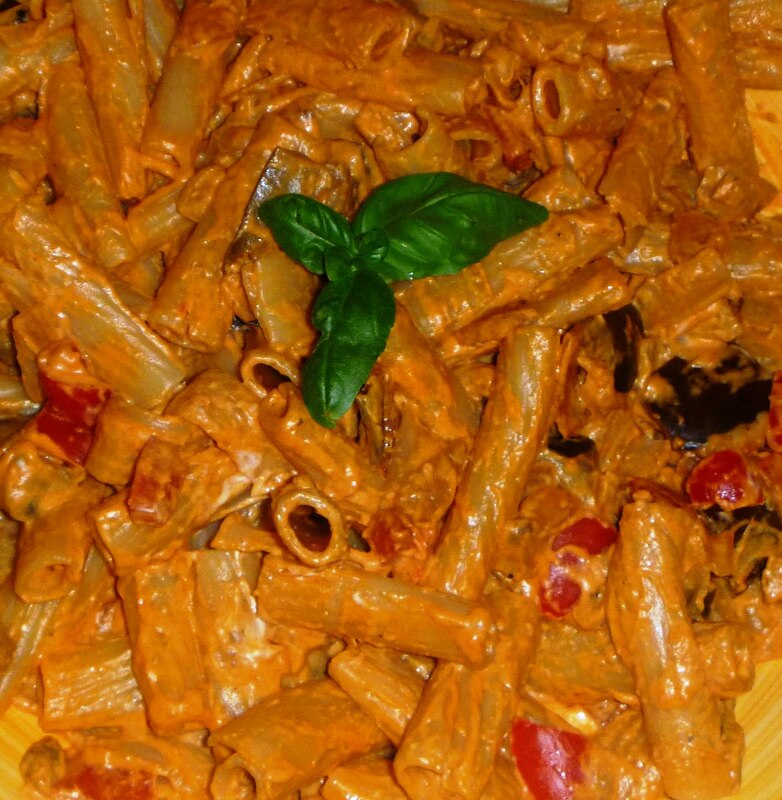 As usual, when cooking I am always thinking about dishes that the little ones will eat and so by adding the cream cheese and making the pasta creamy, the kids are guaranteed to enjoy eating this pasta. Fry the onion in the pan over a low heat for 5 minutes. Add some sea salt flakes to prevent burning. Add the garlic, pepper, aubergines and mushrooms to the pan and fry for 5 more minutes, stirring frequently. 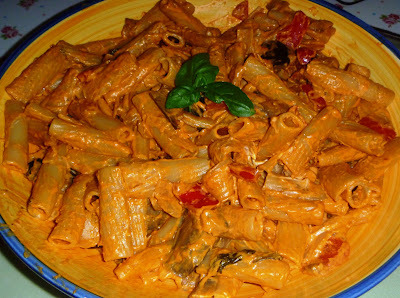 Put 4 or 5 basil leaves, the water and the tomato puree in the pan. Simmer for 10 minutes all together. Meanwhile, cook the pasta as per the packet instructions. Once the pasta is cooked, drain, reserving some of the water in a cup. Taste the pasta sauce and add salt and pepper accordingly, stirring for 1 more minute. Combine the pasta with the pasta sauce and make sure the sauce and pasta are evenly distributed. Remove the mixture from the pan and into a large bowl. Stir all of the cream cheese through the pasta, until completly stirred in.